I just love this beautiful family. I was so happy to get to see them again this year. And I love toddlers. Toddlers are just so... real. So funny, and sweet, and honest. And cute, no matter what they are doing. 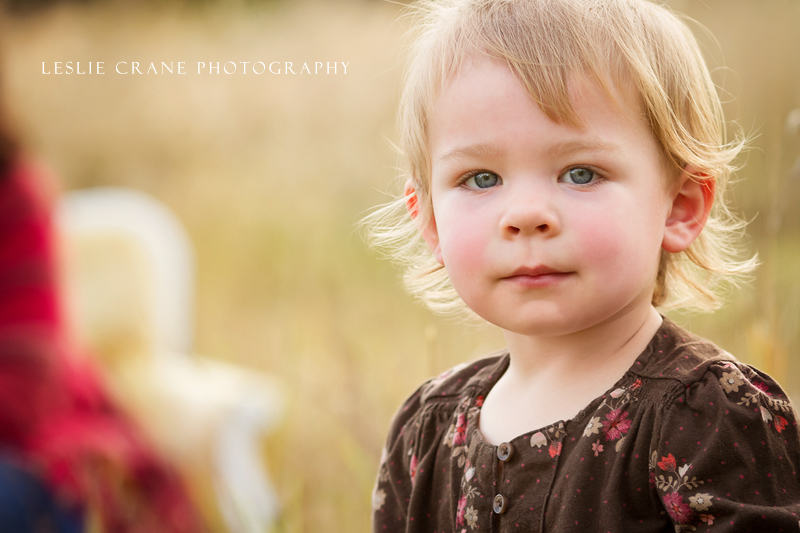 This little sweetie was such a doll (again!) - it's so fun to see her growing up. She is so adorable! It's pretty much fall, now. And I love fall, too. 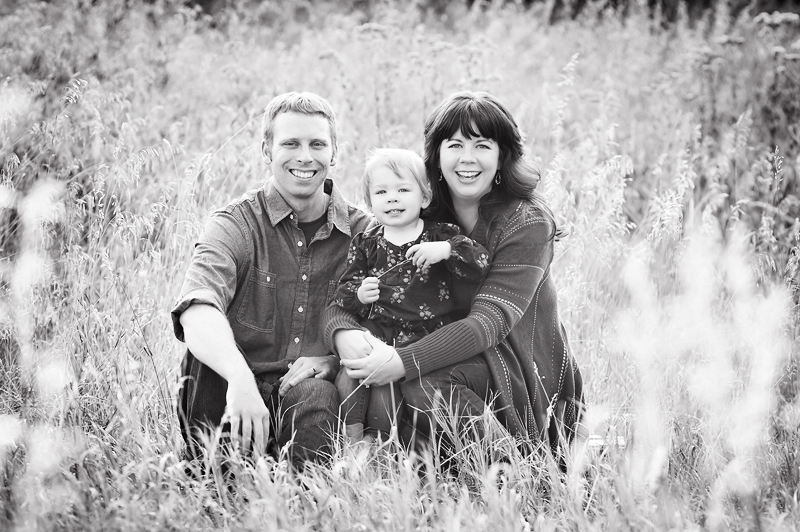 This time, for their family portraits, we decided to keep it simple and sweet. And simple and sweet is my favorite. They came to my studio and we frolicked in the field out back. The outfits she chose were just so perfect! Thanks for looking. For session details and to see my complete portfolio, click here. 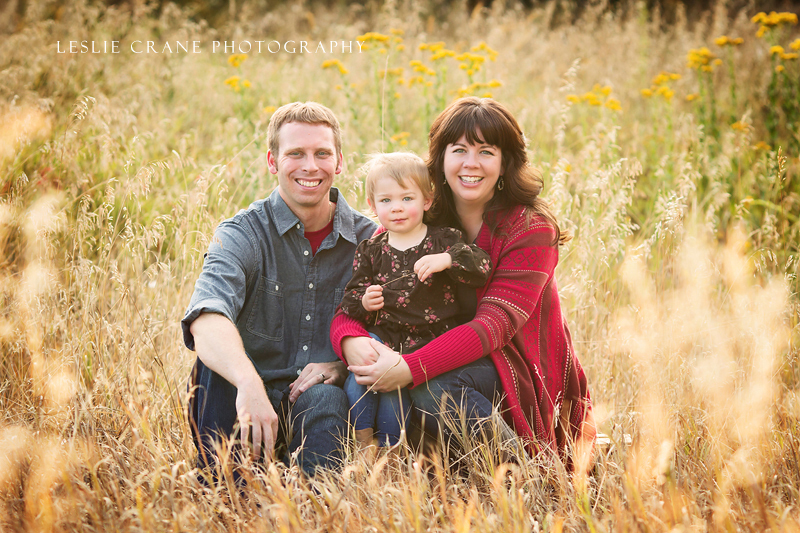 What a beautiful family and I love the field. 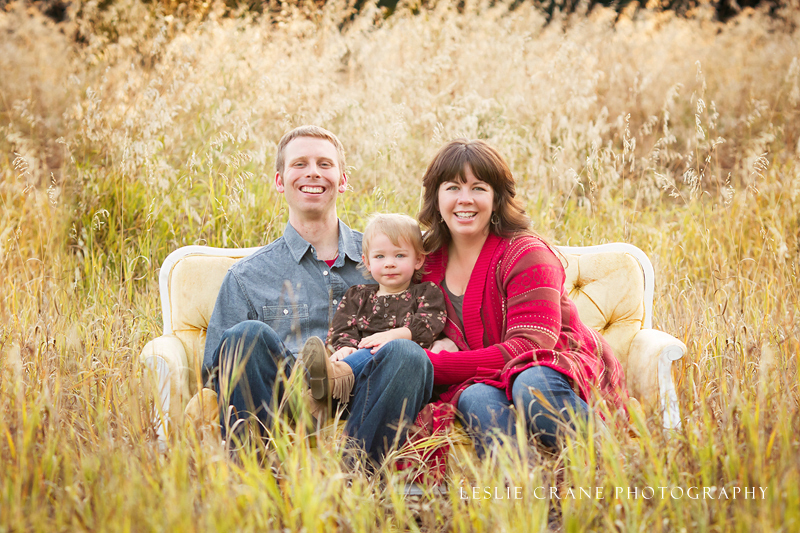 Mom's pop of red is so pretty and a couch in the field = perfection! 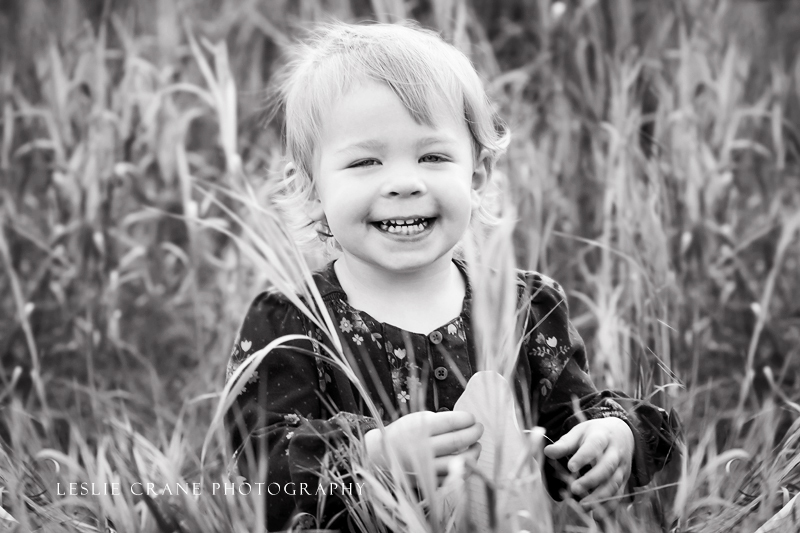 Another gorgeous session Leslie! 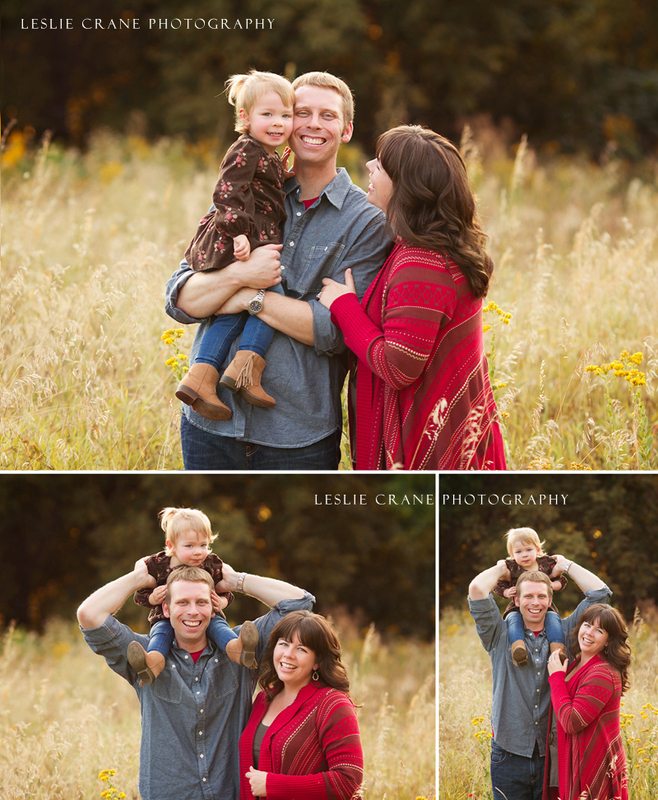 They certainly picked THE best photographer for their family. Your work is FLAWLESS, Leslie. What a gorgeous family, such magnetic smiles, and you did such a great job bringing out the beauty in both the family and the surroundings. That couch is so cool. That little girl's smile is the cutest thing I have ever seen. I love these. 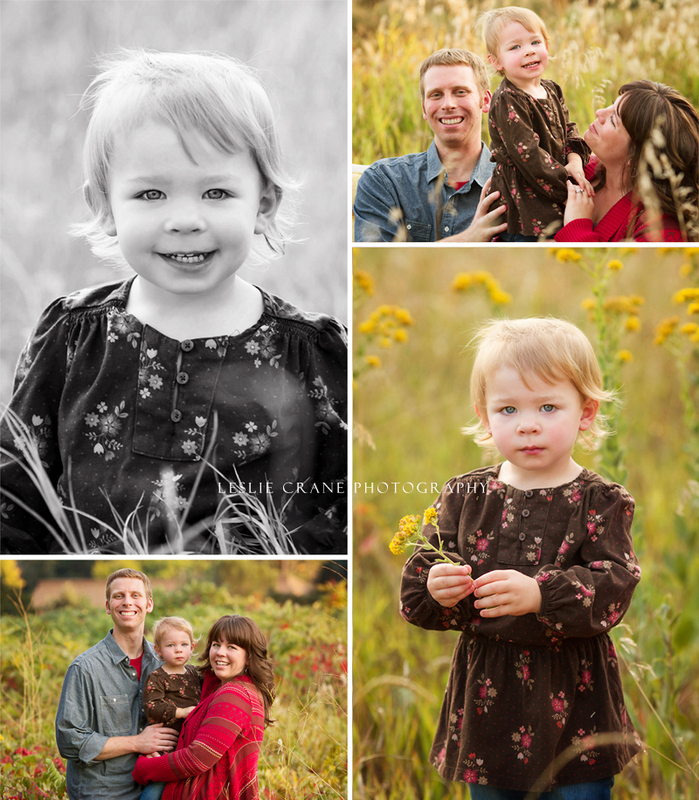 The light, texture and colors are so gorgeous and what a beautiful family! Leslie these are so gorgeous! Love their rich outfits. You captured the connection with this family perfectly! 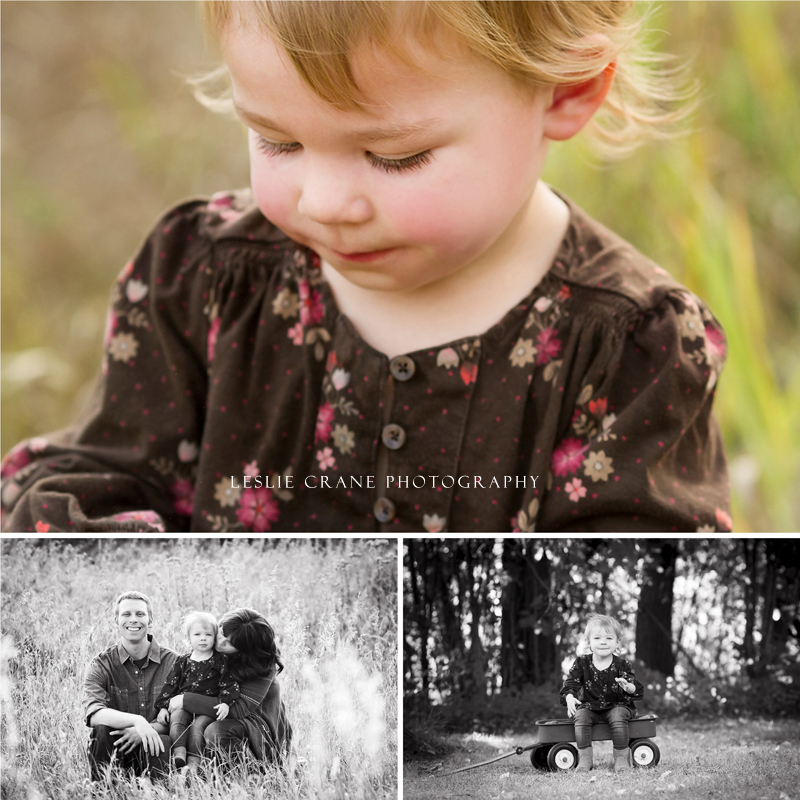 Great, great family session. I love the combination of posed and candids. So happy, sweet and colorful, and that little girl is so cute! These are so pretty! I love the colors, and they look so relaxed and happy. 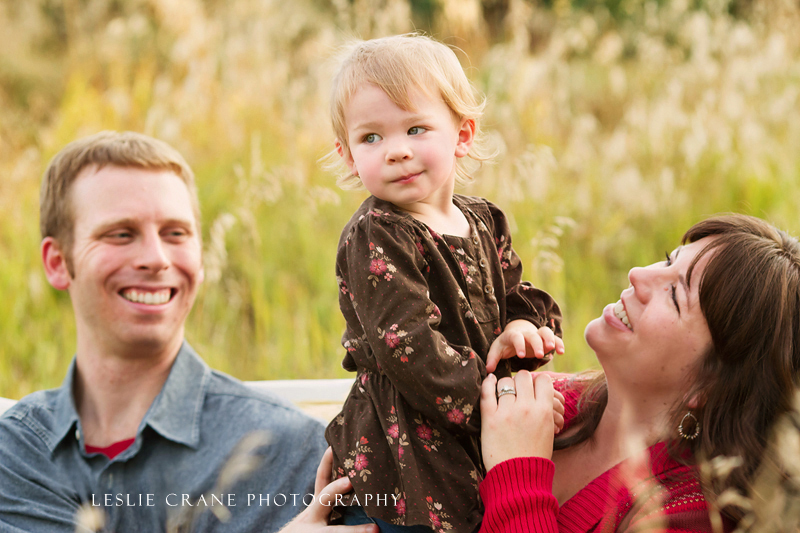 What a lovely family session Leslie. You work is so stunning and classic. Each of these is amazing!